On 26 March 1913, the new RAN cruiser HMAS Melbourne sailed gloriously into Port Phillip Bay, 'Single Line Ahead' leading HMS Encounter, Torpedo Boat Destroyers Warrego, Parramatta and Yarra. 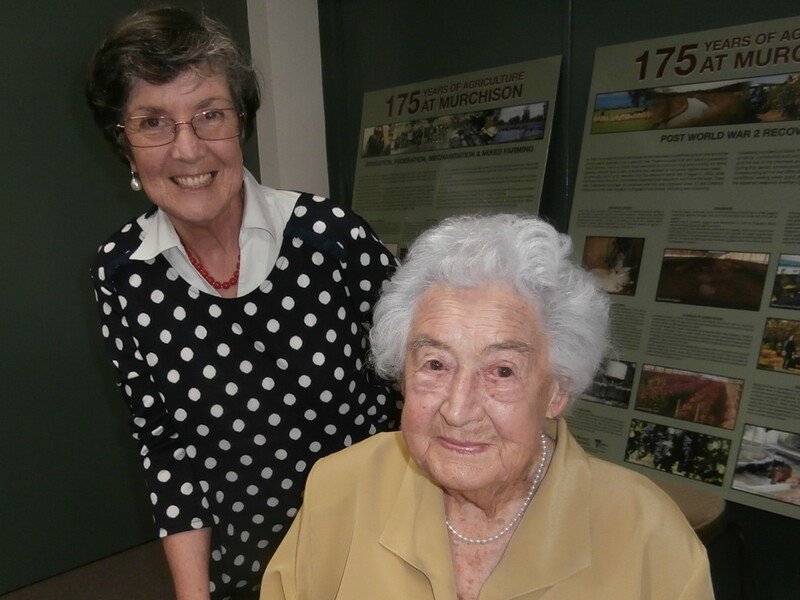 She was later to receive the insignia of the City of Melbourne, which is included in the current RHSV exhibition, on loan from the Australian War Memorial. 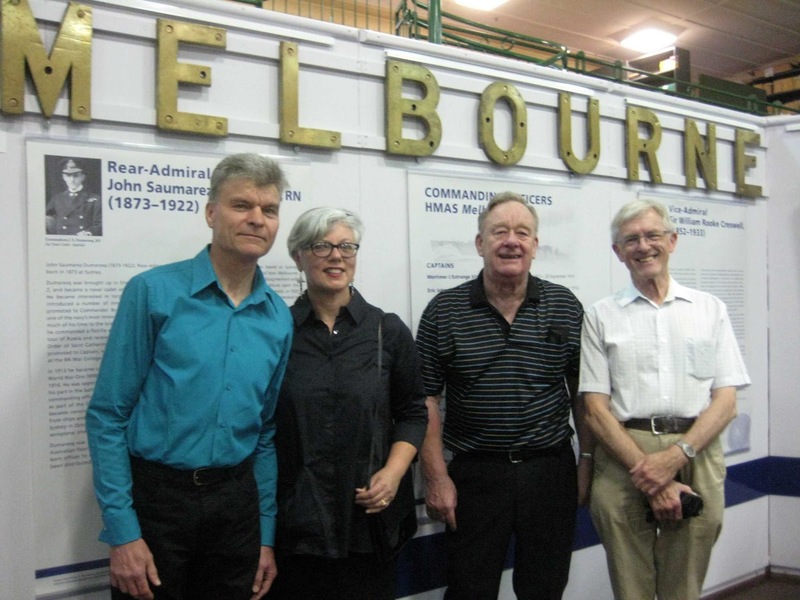 On the exact anniversary of that triumphal entry into the port of Melbourne, the RHSV exhibition was launched, and at the same time a new history of the working life of HMAS Melbourne was launched. L-R: Andrew Lemon, President RHSV; Captain Mike Harris, RAN; Andrew Kilsby; Commander Greg Swinden, RAN. 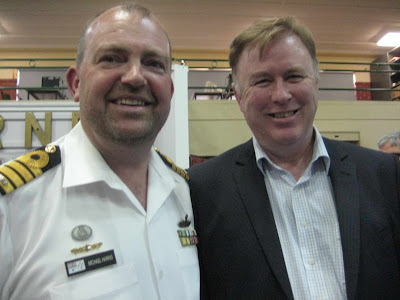 The authors of the new book, Andrew Kilsby, left, and Commander Greg Swinden. The official guest to launch the exhibition and book was Captain Mike Harris, left, with Andrew Kilsby. 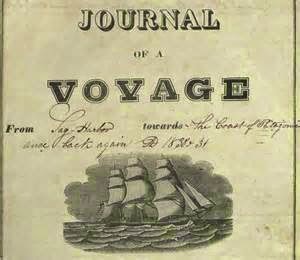 Captain Mike Harris, RAN, has a double connection with the story of the Melbourne. He captained its namesake, HMAS Melbourne (2) until 2011, and his great-grandparents were among the passengers rescued in from a stricken vessel, the Helen B Sterling in very heavy seas in 1922. 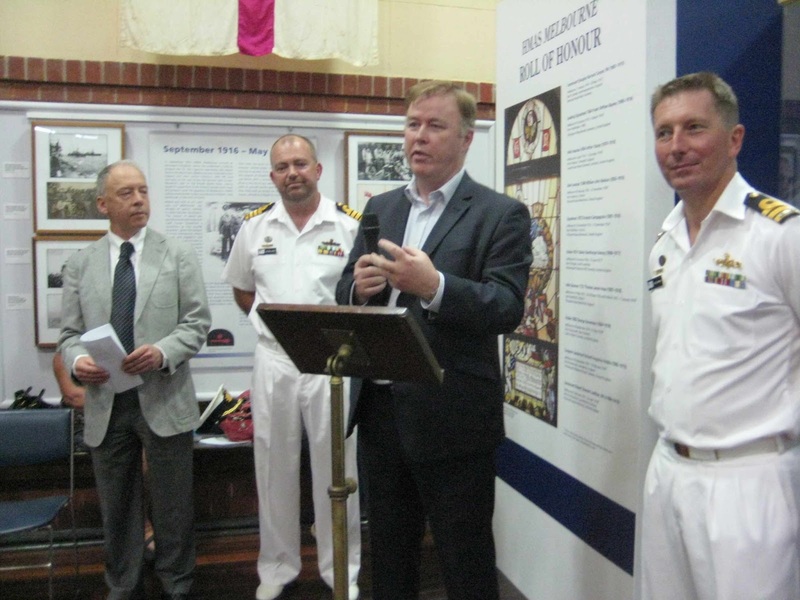 A descendant of one of the seamen who manned a small cutter to affect the rescue was also present for the launch. The Melbourne entering Port Phillip Bay, 'Single Line Ahead', leading HMS Encounter, and Torpedo Boat Destroyers Warrego, Parramatta and Yarra. From The Argus, 27 March, 1913, p5. The Royal Historical Society of Victoria was formed in 1909 and is a community organisation committed to collecting, researching and sharing an understanding of the history of Victoria. With the support of a large number of volunteers, the RHSV provides a full program of activities (e.g. lectures, seminars, excursions and exhibitions) for the benefit of members and the general public. The Society publishes a bi-monthly newsletter, a reviewed journal and books of historical interest. Our activities are open to all Victorians.